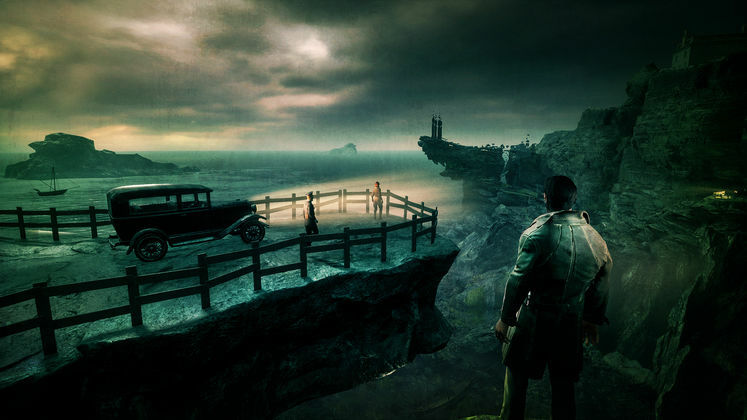 Call of Cthulhu is out now, and while it has some problems it’s still a worthy adventure-RPG with a fair number of cool puzzles. 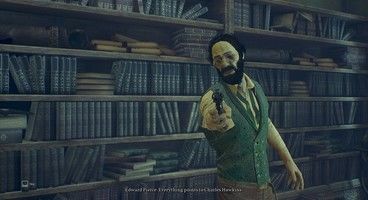 One of the hardest puzzles is the Nameless Bookstore safe – how do you get the Call of Cthulhu Safe Code? It’s a complicated process, but we show you the steps you’ll need to take to get there – or just give you it outright, if you don’t want hints! So here’s how to get the Nameless Bookstore Call of Cthulhu Safe Code! The Nameless Bookstore is in Chapter 7 of Call of Cthulhu. After conducting a Reconstitution investigation in the back room, you’ll discover a safe behind a painting – with a three-number combination lock. Check the bookcase to the right, there’ll be a note to help you solve the combination, although it’s still not at all clear. 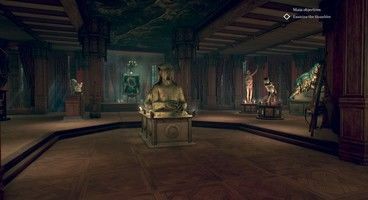 The note talks about three cylinders (each contain one number of the code) hidden “where life and study combine in the Greek world.” If you’ve explored the store, you’ll have spotted the Greek painting in the back. Go back to it and Pierce will pull it away, to reveal the cylinders. These can be played on the gramophone player in the small front room. Cylinder 1 talks about “red drops”, “precious stones” and Drake being “the guardian of the Grail.” This points to the golden Grail cup in the same room. Examine it – how many red rubies are embedded in the cup? That’s your first safe number. Cylinder 2 talks about “protecting the White Queen from the dark soldiers”, relating to the chess set in the room. Look – how many white pieces are left, not counting the queen? That’s the second number. Cylinder 3 refers to the Arkham Edition books that you probably spotted behind the counter. Not that you need to bother with those books at all, since Drake outright tells you the third number in the recording. So what’s the safe combination code? LAST CHANCE IF YOU DON’T WANT TO FIGURE IT OUT YOURSELF! It’s 5 – 3 – 9. Five rubies on the cup, three white pieces on the chess board, volume 9 of the Arkham Editions. Put in the code, and retrieve your prize… but don’t expect anything less than madness to follow.